An engineer's elevation pole, better known as a grade rod, has large marks indicating feet and inches, making it easy to read from a distance. You can also extend them for taking readings at elevations much lower than where the builder's level is set. The task of finding elevations is relative in nature, which means that a reading at one elevation only has significance when compared to the reading at another location. You have to subtract the numbers to determine how much one elevation differs from the other. Sight the grade rod in with the scope of a builder's level. Rotate the eyepiece to improve the focus. Take note of the first red number below the scope's crosshairs. That number represents feet. Find the first black number below the scope's crosshairs. The black numbers indicate inches. Count the number of short marks between the crosshairs and the inch mark, including the mark where the crosshairs are at. Multiply that by 1/4 to find quarter inches. 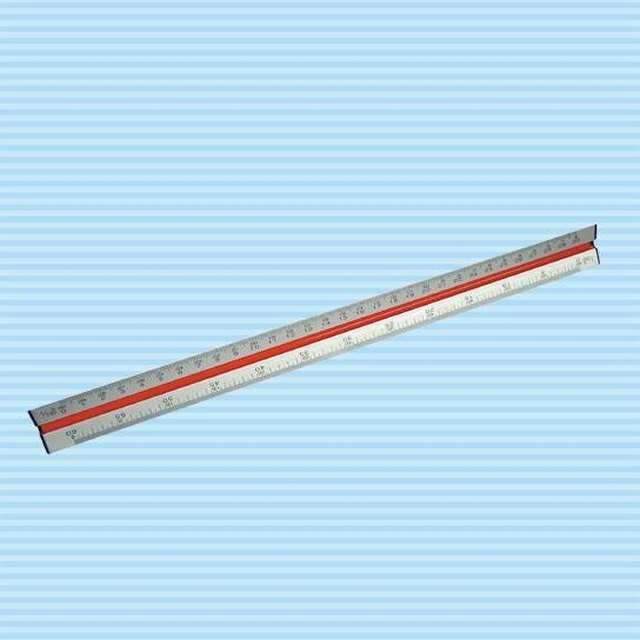 For example, if there are three short marks above the 5-inch mark, the number of inches would be 5 3/4. Sight the grade rod in at another location, and read the number of feet and inches as before. Subtract the smaller number from the larger. The difference is the change in elevation from the location where you first sighted the rod. If the first number was greater than the second, the first elevation is the lower of the two. Mike Gamble started writing professionally in 2011 for Demand Media Studios. Having worked as a line mechanic, landscaper, custodian, carpenter, web developer and disk jockey, he hopes to bring fresh insight into the topics he writes about from a variety of experiences. Gamble, Mike. 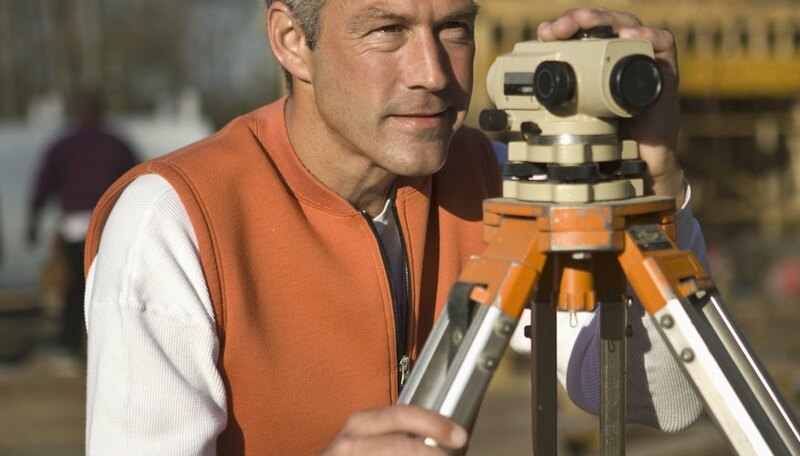 "How to Read an Engineer's Elevation Pole." Sciencing, https://sciencing.com/how-10028336-read-engineers-elevation-pole.html. 07 August 2017.